WATERFRONT with 125-ft of BEAUTIFUL WATERFRONTAGE -This Custom-Built Brick Rancher is Definitely A One-of-a-Kind, with Waterviews from Most Windows! No Detail Waterfront Home! Large Open Rooms including 2 Family Rooms each with a custom Petrified-Wood Stone FP naturally sourced in the Dakotas, 2 Kitchens - Main Level Kitchen is huge w/Cherry Cabinetry & Dumbwaiter to Lower Kitchen, Main Level Master Ste.w/Heated Jacuzzi, Priv. 2-BR Ste. on 2nd Fl along w/Additional BRs, Fin. Terrace Level w/FamRm-Game-Media-Workshop-Exercise-Storage Rms, 20x72 Walkable Fin. Attic! 3-Car Garage,Covered Patio w/Shuffle Board, Lrg. Deck, Outdoor Hot/Cold Shower, Terraced Back, Easy Walk to Water, Bulkhead, Dock, NEW Roof-We Have New Appraisal-$770K Value! 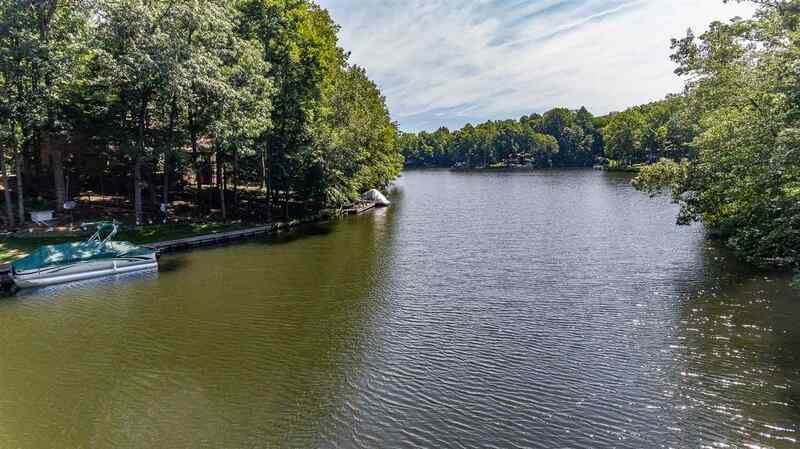 Please, send me more information on this property: MLS# 584975 – $695,000 – 17 Piedmont Ln, Palmyra, VA 22963.